Alexandra Brodie is one of the UK's leading IP litigators. Based in London, she is described as "a great strategist and tactician who knows how to position for success at every level of trial" in Chambers, 2016 and by Managing Intellectual Property as one of the Global Top 250 Women in IP 2016. World Trademark Review recognised Alexandra in the 2017 edition of its prestigious annual guide, WTR 1000, for enforcement and litigation. Alexandra has been litigating all IP rights for many years and has enjoyed particular success in the field of telco patents and big brands, having represented clients such as Hasbro in its Play-Doh litigation and various technology companies in relation to setting strategy in multi-jurisdictional standards essential disputes. She has recently secured victories at the High Court and Court of Appeal against BT in connection with its provision of internet services to the UK. She chairs the firm's tech sector and ensures that our firm-wide team is immersed in the sector such that it can provide not just sector focussed advice and strategy but also connections and introductions for our clients. She is intrigued by the ever-increasing reach of tech into all industries and her team has recently provided networking events for clients in fields as diverse as autonomous cars, e-retail, additive manufacturing, connected health and fintech. Alexandra is passionate about the need to encourage a diverse environment with opportunities for all and heads up our initiative to provide mentoring and coaching to our people as part of our More Women project. She is also an active member of our US Sales Initiative with responsibility for the Boston territories alongside colleagues from around the business. Alex was recognised as both a 'trade mark star' and 'patent star' in the IP Stars guide 2017. 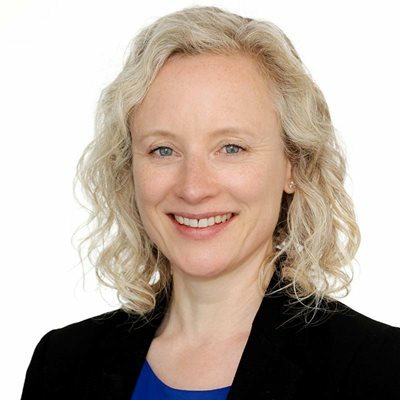 IAM 1000's The World's Leading Patent Professionals 2015 describes Alexandra as having an "avid engagement with the technology industry [which] makes her an enthusiastic and committed advocate"